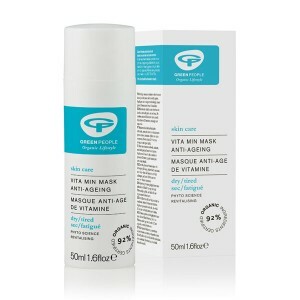 24-hour anti-ageing moisturiser for normal to dry skin with a delicate, natural scent and silky skin feel. The 24 hour skin solution for normal, dry and tired skin with clinically proven cell rejuvenating actives to reduce wrinkles. Vita Min Fix delivers an explosion of vitamins, minerals and antioxidants to regenerate and nourish your skin and to promote production of new skin cells. Apply in the morning to a freshly cleansed and toned face and neck. Use light pressing movements. Use in conjunction with Fruitful Nights as your night cream for a real beauty treat.